On the onset I would like to say this and thank Quikr NXT for my new Maruti Wagon R which I purchased recently. Why I am thanking Quikr NXT ? Well, I owned a Tata Nano which I had bought in 2010. Though the car was good, it was giving me continuous problems with the maintenance and expenditure related to maintenance. I thought over it with my family and we decided to sell the Tata Nano and buy a new car. There were two options available to me. One was to exchange the Tata Nano with the new car seller under exchange benefit, the other was to sell Tata Nano to a private buyer for cash and use that money for buying the new car. As I enquired for new cars which suited my budget, almost all car dealers gave me a exchange benefit of roughly Rs.20000.00 to 25000.00 on the old and my fav Tata Nano. Now 25K for a old car is very less and without selling Tata Nano and the seed funding, I could not think about buying a new car. I started looking for buyers for my poor Tata Nano. But as you all may know it, Tata Nano has a very poor second sale record. 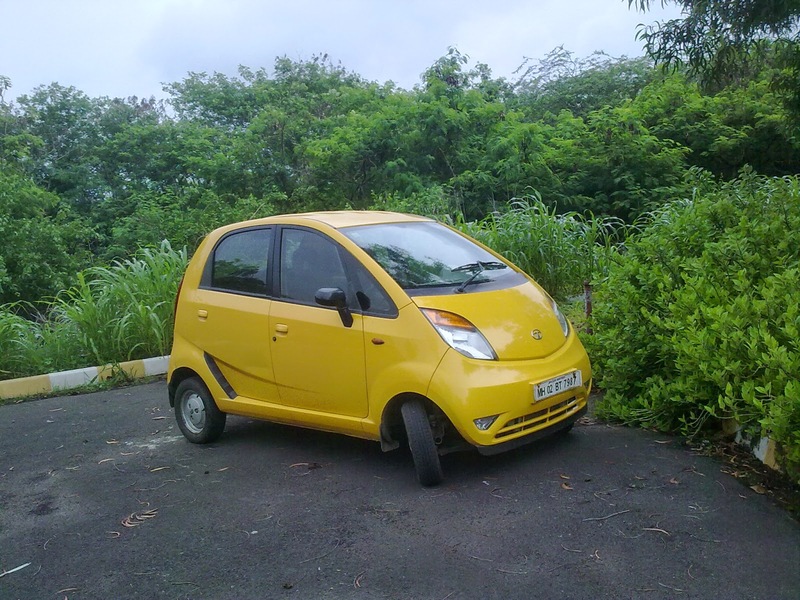 So Inspite of spreading the word around that I am looking to sell my Tata Nano, no buyer approached me. Days passed into weeks and my patience was wearing thin. I thought about exchanging the car with the dealer himself so I could get my new car at on my birth date. One fine day while visiting Indiblogger, my favourite haunt, I chanced upon a thread regarding Quikr NXT. I thought, I should give Quikr NXT a try for selling my Tata Nano. I gave it a thought, sought advice of my Indiblogger mates Knitha and Ranjith and decided to give Quikr NXT a go. Lo and behold, I had to wait only two hours before I started receiving requests for buying my beloved Tata Nano. In four hours I had about 5 requests out of which two were from out of Mumbai so that left me a choice of 3 buyers. All three of them requested me to reconsider the sale price for Tata Nano on the Quikr NXT messaging. After giving a it a thought, I told three of them to give their own prices at which they felt comfortable buying. One buyer came up with 40K, the other one with a figure of 45K and the last one put forward a figure of 50K. I thought about it because the car dealer was giving me a exchange of 25K and the third buyers price was exactly double that. Again after a brief brainstorming with my friends and family, I accepted his offer over Quikr NXT. The next day, the buyer paid me a visit, we decided to exchange cash for my Tata Nano and the deal was sealed. Exactly 10 days later, with the seed money I received from selling my Tata Nano, I was able to buy a brand new Maruti Wagon R.
Mind you, my choice for selecting Quikr NXT as a selling App, was that I can communicate directly and privately with the buyer. Quikr has come a long way on its journey and has become a one of the best means to buy and sell used goods over internet. Alongwith the website, now Quikr has launched an App called Quikr NXT which can be used as medium to chat privately and confidentially with the buyers/sellers of old use goods. This is the prime reason I opted for Quikr NXT because it let me hide my confidential information while posting Tata Nano. Also, with Quikr NXT I could avoid calls at inappropriate moments. This whole seamless buying/selling process is smooth and hassle free and that freedom helped me buy a new better and Quikr car with Quikr NXT.